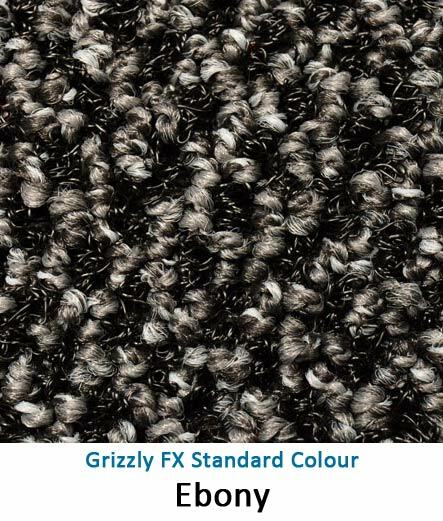 Grizzly FX - Commercial Flooring & Mats Vancouver | Source Floor & Specialties Inc. Premium custom indoor entrance matting. Step up to quality with Grizzly FX premium dryer/scraper matting and see how much better your facility can look and discover the related amortized cost-savings. Keep dirt and water where it belongs – at the door, not inside your facility! Did you know that the Carpet & Rug Institute recommends 12 to 15 linear feet of matting for an office building, or up to 20 or 25 feet for a grocery store or hospital to ensure soil is trapped and floors are kept safe? See examples of our custom inlaid Grizzly FX logo mats here. Our logo mats are inlaid, not printed! 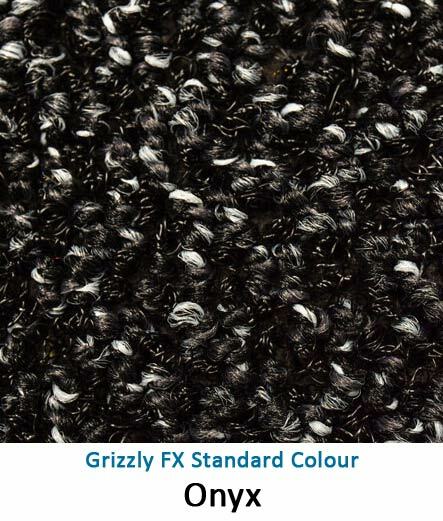 Premium nylon face fibres give Grizzly FX outstanding performance and long service life. 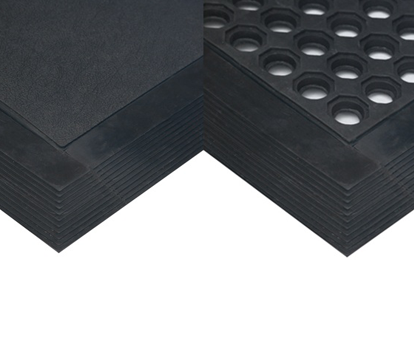 Grizzly FX uses a random pattern design to help hide collected dirt, while its looped-pile, tufted construction utilizes both nylon (to dry) and polypropylene fibres (to scrape) to provide the ultimate performance in scraping, collecting and holding/hiding dirt and moisture until it can be extracted from the mat. Grizzly FX comes in standard 3-foot and 6-foot widths, but can be fully customized to any shape and size. Grizzly FX is also suitable for wall-to-wall installations in vestibules or lobby areas and is the best choice for our inlaid logo mat program. Our logos are all inlaid, not printed! Fully customizable sizes and shapes. Do you know about the “15 Foot Rule”? Perfect for our Inlaid Logo Mat program!